TEWKSBURY, Mass., April 6, 2017 /PRNewswire/ -- Ballistic missiles will soon be easier to detect and defeat. The U.S. Missile Defense Agency has awarded Raytheon Company (NYSE: RTN) a $10 million contract modification to continue the development of hardware and software that will add gallium nitride, or GaN semiconductor technology to the AN/TPY-2 ballistic missile defense radar. GaN increases the radar's range, search capabilities and enables the system to better discriminate between threats and non-threats. Gallium nitride technology also increases the system's overall reliability while maintaining production and operational costs. "AN/TPY-2 is already the world's most capable land-based, X-band, ballistic missile defense radar," said Raytheon's Dave Gulla, vice president of the Integrated Defense Systems Mission Systems and Sensors business area. "Adding GaN technology modernizes the system so it can defeat all classes of ballistic missiles in extreme operational environments." The AN/TPY-2 is on pace to be the world's first transportable, land-based ballistic missile defense radar to use GaN technology. 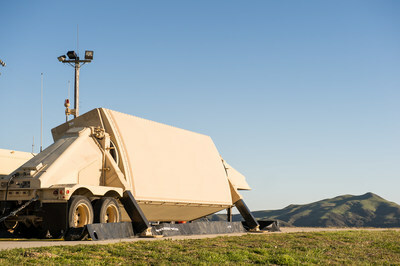 In forward-based mode, the radar is positioned near hostile territory, and detects, tracks and discriminates ballistic missiles shortly after they are launched. In terminal mode, the radar detects, acquires, tracks and discriminates ballistic missiles as they descend to their target. The terminal mode AN/TPY-2 is the fire control radar for the Terminal High Altitude Area Defense ballistic missile defense system, by guiding the THAAD missile to intercept a threat. Raytheon has led development and innovative use of GaN for 19 years and has invested more than $200 million to get this latest technology into the hands of military members faster and at lower cost and risk. Raytheon has demonstrated the maturity of the technology in a number of ways, including exceeding the reliability requirement for insertion into the production of military systems.